Hoomin, I'm starting to think you're a secret M*nd*y collaborator! 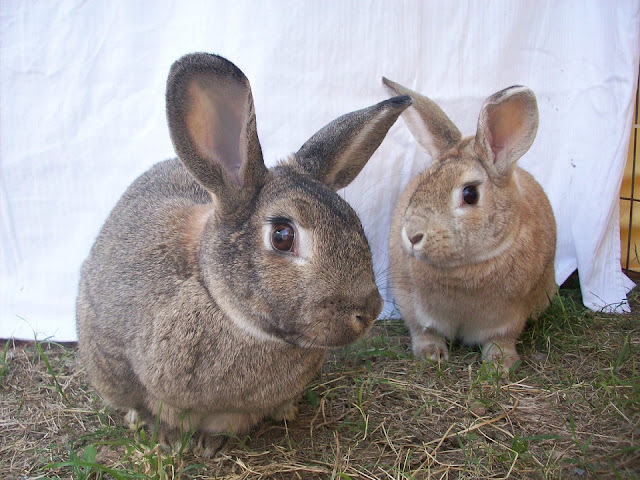 NOTES: Jilly and Milly were born at BHRR in 2012. Their mom, Tilly, and brother, Chilly, were adopted together and we are hopeful these girls will find their happy ever after very soon as well! They are a couple of adorable, smart, curious and silly sisters who love each other almost as much as they love digging, eating, playing and napping (not necessarily in that order). Yes, perhaps as international Bunplomats their status would grant them immunity from M*nd*ys? And free carrotinis. And a plane. With more free carrotinis.